The dressing on Salads is like the icing on a cake! It adds an element of fun and excitement to the salad, transforming it from a must-have to a wanna-have-more part of the meal! 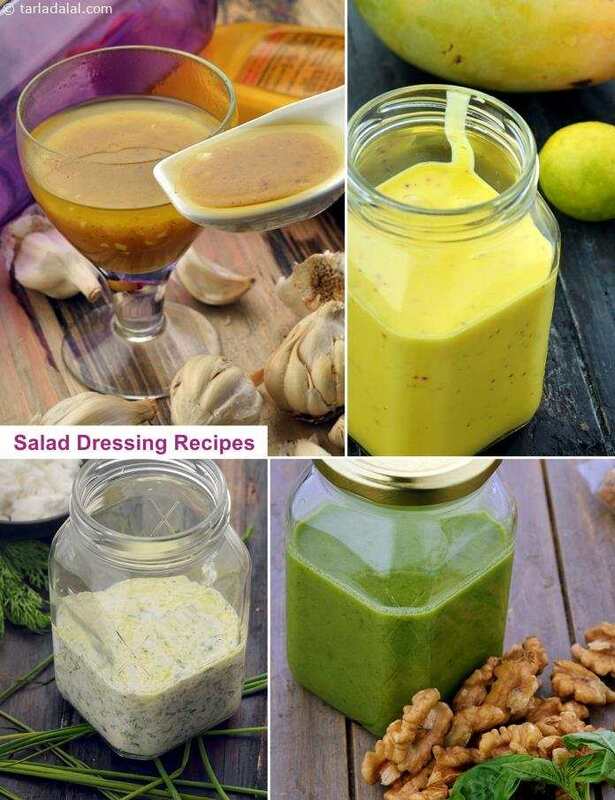 There are countless possibilities when it comes to salad dressings, ranging from oil, curd or cream-based ones, to honey-based and lemony ones. While you are here, you must try the Minty Honey Dressing, Lemony Yoghurt Dressing, Curd and Goat Cheese Dressing. Goat cheese has a pristine white colour and a unique tart flavour, which make it a wonderful addition to salad dressings. Crumbled goat cheese combines beautifully with curd and white wine vinegar to make a flavourful and luscious dressing, which gets even better with the addition of chives and dill leaves. The Curd and Goat Cheese Dressing stays good in the fridge for two days, if stored in an airtight glass jar.